For folks living in and around Kalyan Nagar or those visiting the place for its food scene, you will be surprised to know that there's a surplus of export surplus stores in Kalyan Nagar. Guys, you can score anything from scoring Ralph Lauren shirts to Ed Hardy jeans under INR 2,000 while ladies, you luck out as our list of export surplus stores in Kaylan Nagar stocks on brands such as FCUK, Vero Moda, Zara, Allen Solly, Stella McCartney, ONLY, and Tommy Hilfiger. 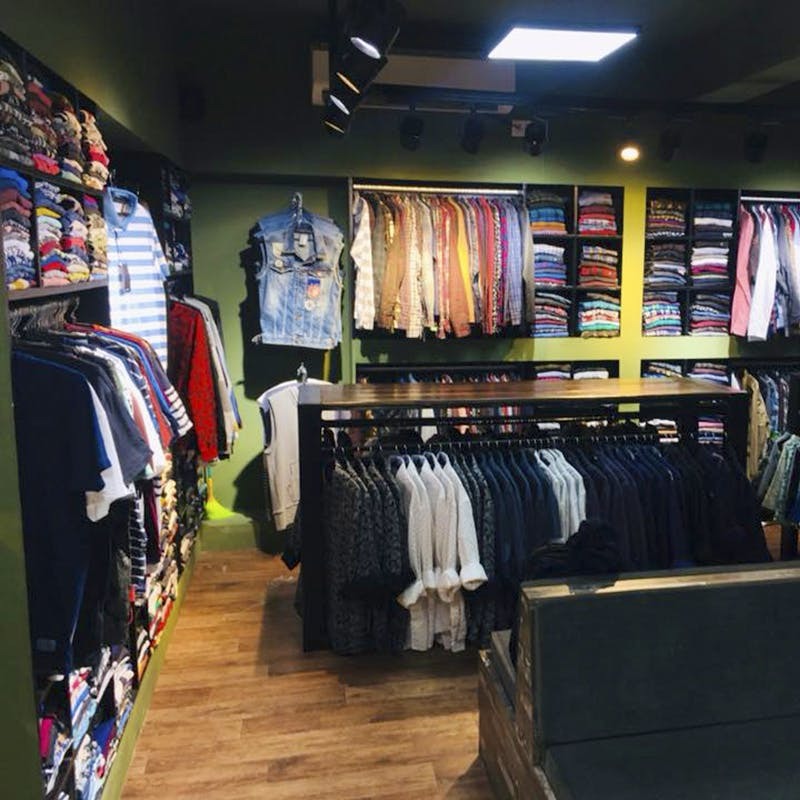 Easily our favourite to score branded clothing in Kalyan Nagar, Wardrobe stocks a handpicked, menswear collection of brands such as Tommy Hilfiger and Calvin Klein. You will love that the brand has a formal shirt from the likes of French Connection and Ed Hardy under INR 1,300. You can also pick up tees from brands such as the Banana Republic and Kaapa for under INR 600. Ladies, Angrez Fashion will sort out with their quality inventory and price range. The tiny shop stocks up on export surplus tops, tunics, and dresses from top brands such as Allen Solly, Vero Moda, Stella McCartney, ONLY, and Tommy Hilfiger starting at as low as INR 350. When you need to snap up some quality high street and designer brands such as Vero Moda, Diesel, Zara Men, and Mango, look no further than this store. Men will love the fact that there's as much selection for them as there is for the ladies. Check out the range of trousers from Boss, Nike gym wear, and Super Dry's stylish gym accessories. If you are a guy looking for a series wardrobe update, let the Ralph Lauren and Massimo Dutti shirts, and a whole range of high fashion brands at this store set you out straight. And that too at a fraction of price. We are talking about scoring new threads for as low as INR 1,000. Street smart apparel your kind of jam? Then Urban Monkey's got H&M, Diesel and Calvin Klein for you to pick and choose. Ladies and gentlemen, prices start at INR 699, so don't mind checking out the Zara, Lacoste, De Fursac, Kenneth Cole and Massimo Dutti range of tops, shirts, dresses, formal wear and trousers. With an extensive collection that will have you picking up everything from your next party dress to Friday Formal, Classy Rags is easily the best export surplus store in Kalyan Nagar (according to us of course). You can find 'Indian' brands such as Allen Solly along with international high street brands such as Abercrombie & Fitch, F&F, Hollister and Timberland) at seriously low prices. And in sizes for anyone aged 0 and up, so you know we mean business when we say this is the best store. Here you’ll find Ed Hardy, Calvin Klein, Hummel, Diesel and Arrow under one roof for as low as INR 700. Oh, and ladies, sorry, this is solely for guys, but hey, if your boyfriend/best friend/brother needs a change of clothing, then take them here because they can pick more than just tees. Think slim-fit shirts and tailored jackets.